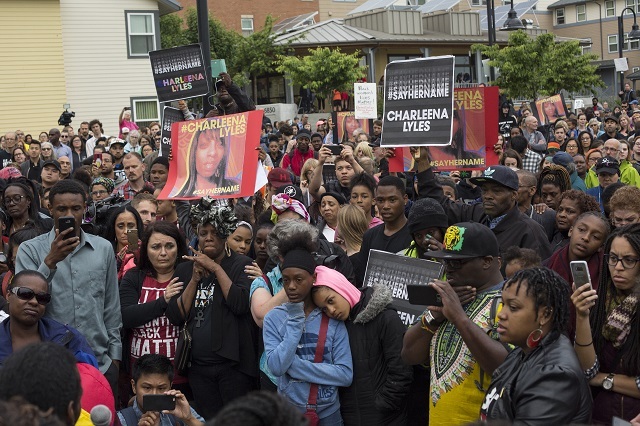 In the weeks before the horrific murder of Charleena Lyles, a Black woman and mother of four killed by members of the Seattle Police Department (SPD) on June 18, we learned that the Jewish Federation of Greater Seattle planned to present the SPD its “Tikkun Olam” award. Tikkun Olam, or repairing the world, is a central concept of Jewish social justice, and we shared outrage with many progressive Jews in Seattle that a police department — especially one currently under court supervision for excessive force and racially biased policing — would receive such an award. The Federation recognized that presenting this award just days after the police murder of Charleena Lyles would reflect poorly. They decided to table the award to a later date, and then postponed the meeting itself upon realizing that activists still planned to protest by holding a memorial service. They did not, however, withdraw the award, indicating that they were more concerned about optics than about the pervasive, deadly racism of the police department. Many of us were appalled, and some were likely surprised, by the Federation’s insistence on giving an award to the SPD, despite its damning record and Lyles’ murder. But, it makes a lot more sense when we look at the deep relationships that establishment Jewish institutions have with police departments across the country, including here in Seattle.